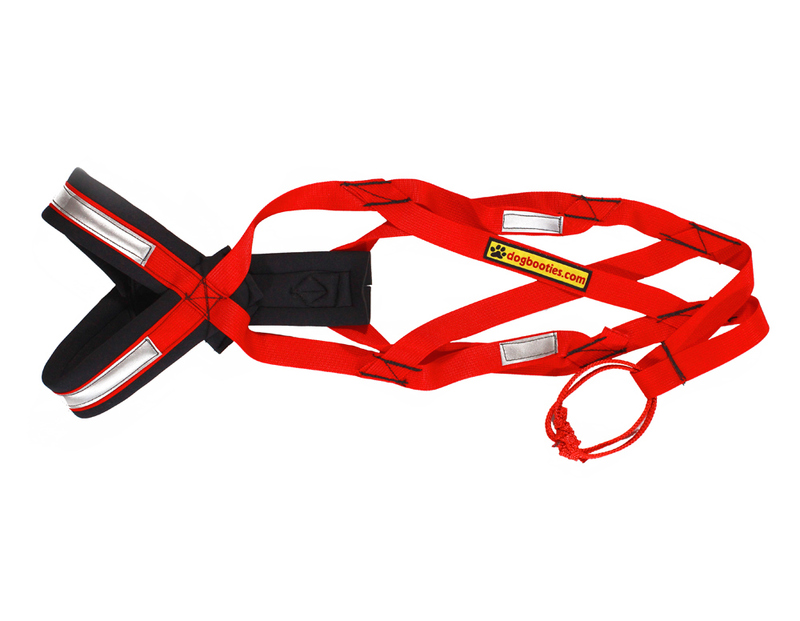 The X-Back Harness is a result of over 6 years of testing and development and has been used by Jamie Nelson in the 2006 Iditarod and John Baker in the 2005 and 2006 Iditarods. 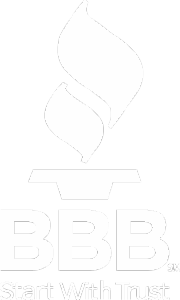 Nancy and Roger Johnson’s teams used these in the 2006 John Beargrease Sled Dog Marathon. Harnesses are not refundable. Black is the largest and hot pink is the smallest. 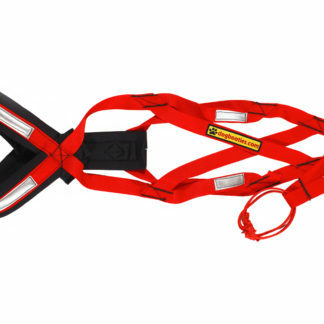 Price is per harness. “Man Are These Great!” Says Roger and Nancy Johnson’s dog Harley. 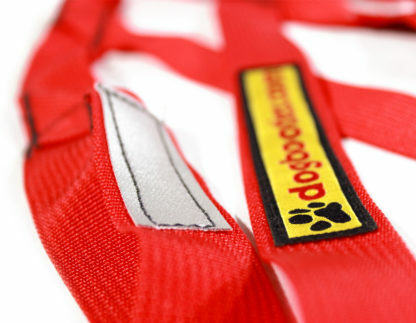 Our X-Back Harness is constructed with 1″ nylon webbing that is padded with neoprene around the neck and chest. 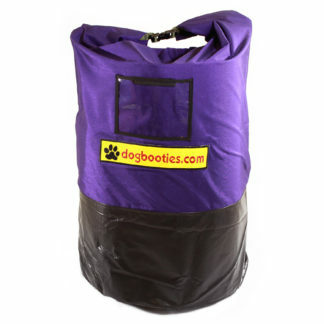 Standard design includes 12″ of reflective tape. 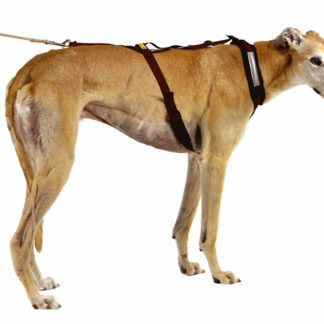 Harnesses are sized by the head/neck size. 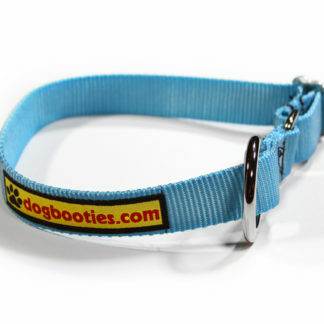 For example, a Black 23 1/2 inch harness means it has a head/neck opening measuring 23 1/2 inches around. 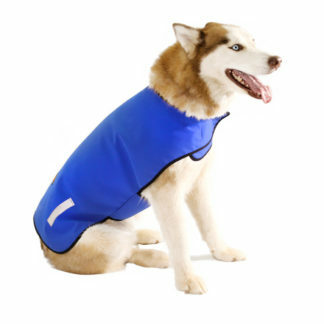 For the best fit and performance, order the head/neck size that slips over your dog’s head easily. See the drop down menu for sizes available. 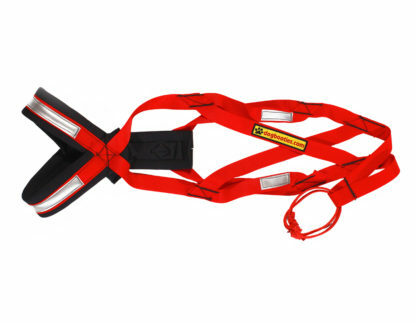 Harness color is size specific. Custom colors are available. A surcharge will be applied for custom colors. Hot Pink 17 in., Teal 17 1/2 in., Yellow 18 in., Burgundy 19 in., Red 20 1/2 in., Navy 21 in., Purple 22 in., Black 23 1/2 in.